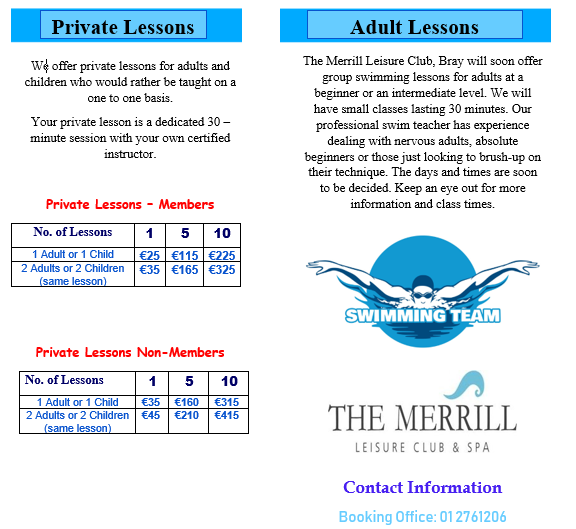 Delighted to announce we will be offering Adult Swimming and Private Swimming Lessons. To Download information please click link below. 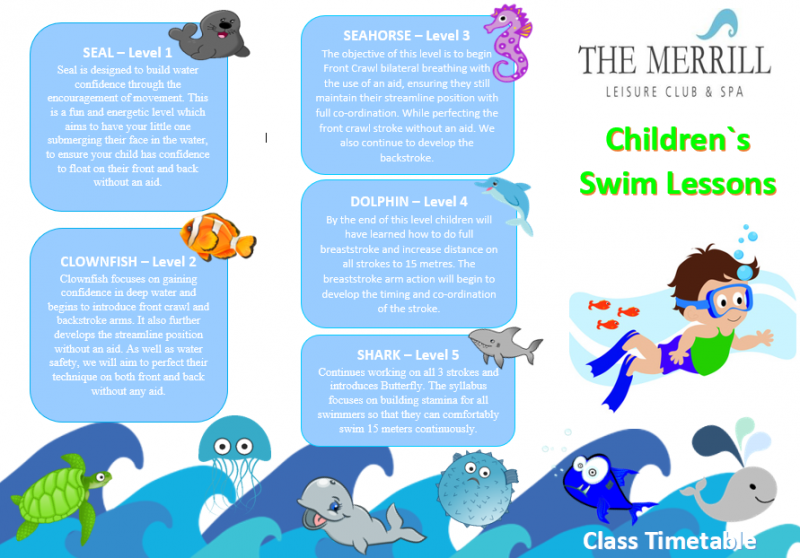 We are delighted to announce Childrens Swimming lessons - please click the images below for timetable.